Token are security application/device that generate security code used as second factor authentications for transactions. There is the hard token and the soft token; the hard token is a physical device that customer can use to generate security codes, while the soft token is an app that can be downloaded on the your phones and used for generating the security code. Customer can visit the branch to get the physical token or download the soft token from their respective phone stores. The codes generated have a display period of 30secs. To access the FirstToken Mobile App, you need to do the following. 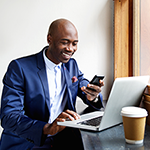 Download the mobile app from any of these app stores for your mobile device- Apple AppStore, Blackberry World, and Google Play. *** Other Stores will be available in future release. 2) How do I get the activation code and Serial no? Visit any of our branches, fill the token activation form and the activation code and serial no will be made available to you. 3) What do I do with the code generated after inputting the activation code and serial no? 4) Is the Mobile App secure? Yes, the FirstToken Mobile app is very secure. This App is secured because after inputting the serial no and activation code, you will be prompted to register a 4 digit PIN that will always be used to access the application on your mobile device. It is important that you keep the PIN confidential and do not share with anyone else. 5) I already have the hardware token; do I still need the soft token? You cannot use both token types. You will need to deactivate the hardware token if you are interested in using the soft token app. 6) I forgot my PIN to access the App? 7) Who do I contact for support? 8) What is the limit of funds that can be transferred using the Token? The daily limit set on the internet banking platform applies here. 9) When do I need to use the FirstToken Device? 10) How long is the FirstToken device valid for? As long as you have the App on your mobile device. 11) Can the Token work outside Nigeria? 12) Can the FirstToken be linked to all my different accounts with the bank? 13) How long does it take to get the FirstToken activated? 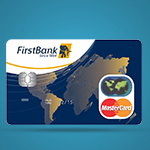 The activation of the FirstToken can be processed within 10 minutes at any First bank branch. 14) Can another person use my Token on his/her own account? No. Each token is tied to your account only and cannot work on another account because the code is constantly changing and is unique to your token, no-one but you will have the code needed to access your accounts.